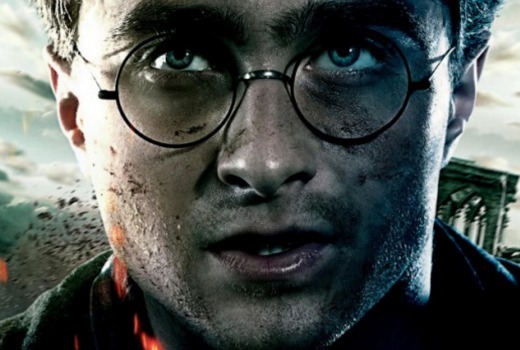 Following on from themed ‘pop-up channels’ over summer, Foxtel has announced a Harry Potter pop-up channel for Easter. ….and here you were thinking Nine was already a Harry Potter channel. All 8 films will screen back-to-back in chronological order starting from 6am on Good Friday March 25 and wrapping up in the early hours of Tuesday March 29, 2016. The channel will be available to Foxtel Platinum and Foxtel Movies subscribers on channel 400. · Harry Potter and the Philosopher’s Stone (2001) – On his eleventh birthday young Harry Potter learns he is the orphaned son of two powerful wizards and possesses unique magical powers of his own. He enrols as a student at Hogwarts where he befriends Ron and Hermione who help him discover the truth about his parents’ mysterious deaths. · Harry Potter and the Chamber of Secrets (2002) – Follows Harry as he ignores warnings not to return to Hogwarts for his second year as the school becomes terrorised by a dark force that has been unleashed by sinister powers. · Harry Potter and the Prisoner of Azkaban (2004) – Harry’s third year at Hogwarts starts off badly when he learns a deranged killer has escaped from Azkaban prison and is bent on harming the teenage wizard. While a swarm of dark enforcers, called Dementors, arrive at the school to protect it from the killer, a mysterious new teacher helps Harry learn to defend himself. · Harry Potter and the Goblet of Fire (2005) – Harry returns for his fourth year at Hogwarts and is selected to compete in a dangerous tournament that pits his school against the wizards and witches from two other schools of magic. · Harry Potter and the Order of the Phoenix (2007) – Now in his fifth year at Hogwarts, Harry is forced to defend himself against charges of using magic while underage. As his expulsion from the school is considered, Harry decides to prepare a group of students to protect the Hogwarts against a rising tide of evil. · Harry Potter and the Half-Blood Prince (2009) – Now sixteen years old, Harry experiences new dangers within the walls of Hogwarts, which is no longer a safe haven for students. He turns to the schools trusted headmaster, Dumbledore, to help prepare him for his final battle against the rising tide of darkness. · Harry Potter and the Deathly Hallows: Part 1 (2010) – Harry, Ron and Hermione must rely on one another more than ever as evil forces threaten to tear them apart. Harry’s nemesis, Lord Voldemort has seized control of Hogwarts and is searching for Harry as he and his friends prepare for the ultimate showdown. · Harry Potter and the Deathly Hallows: Part 2 (2011) – A final clash between good and evil awaits as Harry, Ron and Hermione prepare for a final battle against Lord Voldemort. Harry has grown in strength on his mission to rid the world of evil, which prepares him for an epic showdown where the forces of darkness may finally meet their match. David, off topic but do you know why when Ch Nine airs promos for the Harry Potter films they have a disclaimer in fine print on the screen saying to the effect the film is property of Warner Bros??? And not on other films? Always been curious. Sorry no idea, I haven’t seen that. Sometimes promos include the name of a music artist.